As most of you in the photography and filmmaking community know, on the 21st of August, North America (and some parts of South America, Africa, and Europe) will get to experience a moment that reminds us just how small we are on this tiny planet rocketing around the universe – a solar eclipse. One thing to say before we get started - eclipses are bright. Well, the eclipse itself isn't bright, however, whenever you can see the sun throughout the eclipse, it's going to be damn bright with UV and IR rays flying all over the place. A little common sense is required to not look at it, even when you think it's covered up enough by the moon, because that's specifically when it'll get ya. Wear some fancy eclipse glasses if you can't resist (but not the ones that Amazon recalled...) and don't look through your view finder, even with your ND on at its darkest - use the live view function instead. Partial eclipse – when the moon begins to slide in front of the sun, partially covering it. 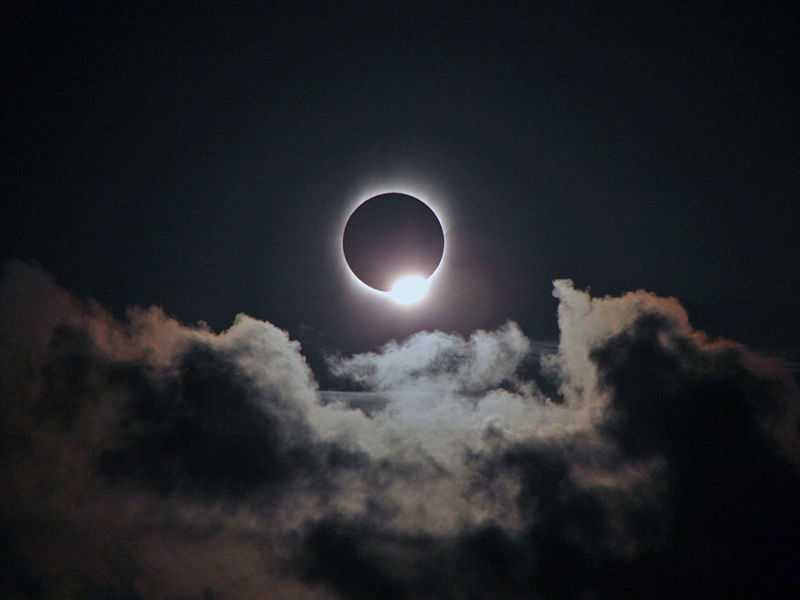 Start of total eclipse – just before the moon fully covers the sun phenomena such as Baily’s Beads and the Diamond Ring effect occur. Totality – when the sun is fully covered by the moon. The sun’s corona is visible in a ring around the moon. The steps above reverse, and the sun is revealed. The upcoming eclipse will pass from the West to East Coast of the US. The path of totality – a fancy way of saying the area where you can see a total eclipse from – is a narrow 70 mile (110km) strip running from coast to coast. This strip is the ideal place to get the complete eclipse experience, although you’ll still be able to capture some pretty cool time-lapses if you’re outside of the range. Wide angle lenses will not work well because the sun will appear too small. You’ll need to use something that’s more than 200mm (on a full frame camera), although 600mm-800mm is more ideal. 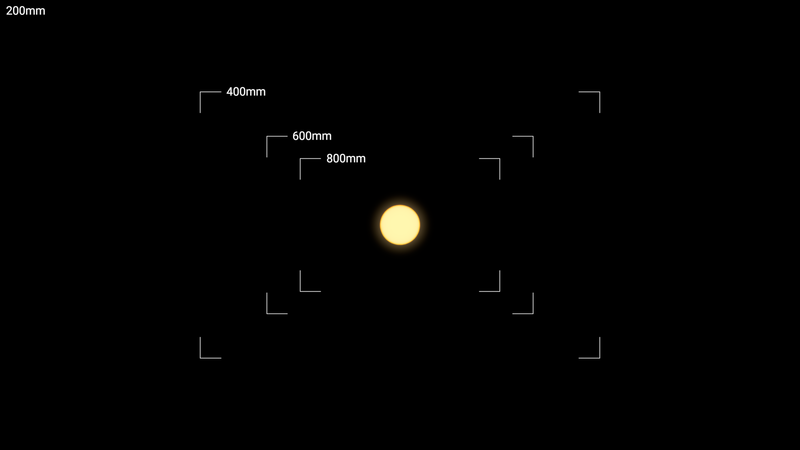 The below diagram shows you how the different focal lengths affect your final image. One of the most difficult elements of capturing the eclipse is the massive change in exposure throughout the event. In the earlier stages, you’ll need to expose for the sun using an ND filter (it’s pretty bright, ya know). During totality, the only light you’re going to see is from the corona (edges of the sun around the moon’s outline) which is pretty dim. It’s standard practice to remove your ND filter for this part of the eclipse. For time-lapse, you’re going to need to manually bulb ramp from bright sunlight, to when the moon is in front of the sun and back again. 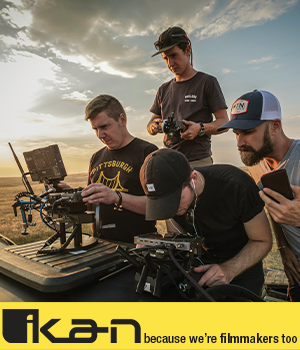 There are a few ways to go about this, the easiest being manually adjusting the dials on your camera – although this can cause your camera to move. Due to the nature of the scene, this can also be very hard to fix in post because there isn’t much information for post stabilization systems to grab on to. A better option would be to use an app such as Canon Connect to control the exposure of the camera wirelessly. One of the core components in creating the time-lapse is your intervalometer. This will trigger your camera at regular intervals. To do this you can use a Genie Mini. Not only does it act as an intervalometer but it also has motion control features which you can use for tracking the sun. Setting the Interval significantly affects the feel of the compiled time-lapse. A too long interval will cause the phases of the eclipse to go by too quick. However, a too fast interval can cause your camera to miss shots. This is due to the previous image still being processed. Using a fast camera and card will help mitigate this issue. It is best to test out what your camera is capable of before the shoot. Use the drift method, where the sun and moon drift into frame. 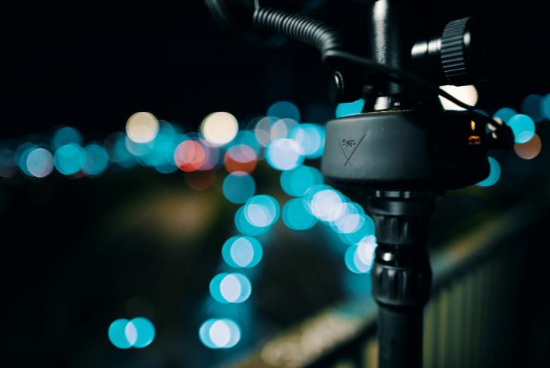 Track the movement using a motion control device like the Genie Mini. This is the simplest of the three methods as it doesn’t require motion control. First, you will need to set the focal length of your camera. This has a significant effect on the duration of your time-lapse. The wider the lens, the longer it takes for the sun to move from one side of the frame to the other. 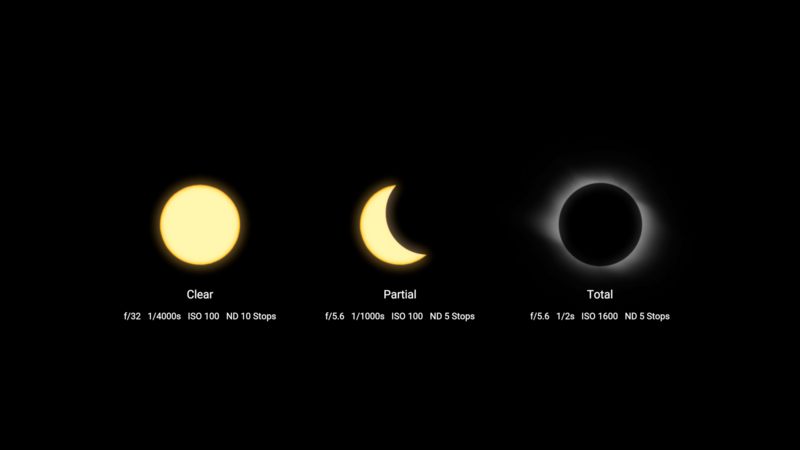 Below is a diagram showing how different focal lengths capture a different amount of the eclipse. Around 600 to 800mm is ideal as it will allow you to capture all the eclipse as well as providing enough room for error in aligning your camera. Once you have set your focal length, you can then derive your record time. This is done by calculating the time it takes for the sun to move across the frame. To do this, use the table below. If you want to calculate this for yourself, use this equation (Horizontal FOV + 0.53)/0.25, where 0.53 is the degrees the sun takes up in the sky, and 0.25 is the degrees per minute the sun moves. (As your Record Time and Interval are set, your Play Time will be determined automatically from this). The next step is to align the center of the frame with where totality will occur. To do this, you can use the NASA website we previously mentioned to figure out when totality will occur. Then in the app PhotoPills, set the time to that of totality. Using the Augmented View, roughly align your camera to where the eclipse will occur. Adjust your ball head and make sure the camera is parallel horizontally with the path of the sun so that it will sweep across the frame from left to right. When pressing record, you want to do this so that it ensures that totality is halfway through your time-lapse. If you had a record time of 20min, you would press record 10min before totality. Before pressing record, make a small adjustment to your ball head positioning the sun on the left just out of frame. Now everything is lined up you can press go and bulb-ramp (see Exposure section above) through until it is finished. Once complete, the sun will be just out of the right side of the frame. Tracking the sun has the advantage of not having to worry about it drifting out of frame. 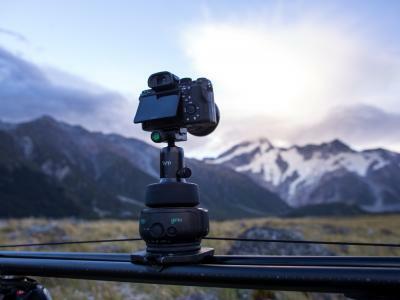 This lets you capture a time-lapse of any desired duration, enabling you to capture every phase. To set this up, you need to align your Genie Mini’s axis of rotation to the rotational axis of the earth. The most accurate way to do this is using an equatorial mount, which is designed for telescopes. Although less accurate, you can also achieve this using a sturdy tripod and head. First, connect the Genie Mini to the tripod head. Using an app like PhotoPills, open Augmented Reality View and lie the phone flat on top of the Genie Mini. Adjust the tripod until the phone is perfectly facing the south pole. You can also align your Genie Mini at night by aligning it to the North Star, Polaris. Once aligned, fix your camera to the Genie Mini using the tilting arm of the Pan Tilt Bracket. 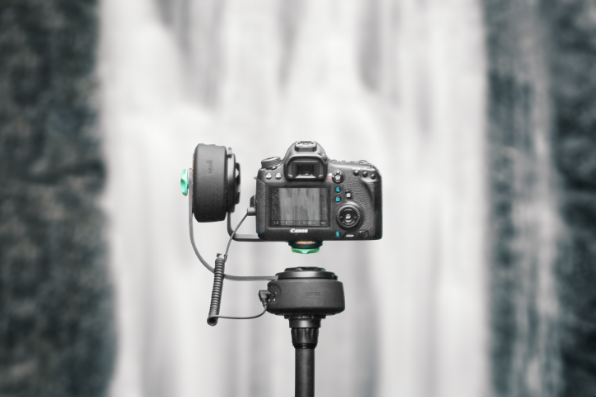 This will alleviate the weight of your camera and long lens, making it easier for the Genie Mini. Shift the camera backwards and forwards on the mount until it’s balanced. Next, you’ll need to set your record time. At its longest, the eclipse will last 2hrs 55min. Depending on your location, your total duration will differ. Once set, you’ll need to configure how far the Genie Mini rotates over this time period. Make sure it is rotating counterclockwise from east to west. As the sun moves at 0.25° per minute, you’ll want to multiply the length of your record time in minutes by 0.25. In this case, it's 43.75°. It's pretty straightforward -- install the latest beta (enable Settings->Developer Mode to access beta versions), then make sure you either have a GPS fix or disable the GPS (Settings->GPS Module) and manually enter the Latitude, Longitude and the current time (in UTC) in settings. Make sure Bluetooth is enabled in Settings->Wireless Setup and up to two Minis should automatically connect. Then when you're setting up the time-lapse, you'll have the option to enable tracking = 'sun', and assign each Mini to an axis (#1 was the first connected). Or, better still, use the app (you need to enable the Built-in AP and use the local 10.0.0.1 option with the beta) and then you can configure each axis and enable sun tracking. You'll also have a joystick mode with live view for setup. Camera Sensor Size – All calculations are done with a full frame camera in mind. If you’re using a crop sensor, multiply your focal length by your crop factor and use the resulting focal length for your calculations. For example, if you have a 200mm lens on a Canon 80D with an APS-C sensor that has a crop factor of 1.6, the resulting focal length would be 320mm. So there you have it, everything we have in our brains regarding the upcoming solar eclipse. Let us know how you get on, and have fun on Monday!